Send a sweet treat to your Valentine, employees, customers or friends and help feed local seniors in need. For $30, your gift box includes 2 Cinnabon rolls, gourmet coffee, a coffee mug, Moon Creek Caramels, Pixie Dust Chocolates, a personalized message and free delivery. Order by TODAY, February 8 to ensure free delivery. Delivery date is February 11. Order online at www.mowspokane.org. 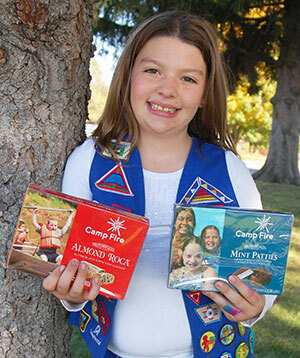 Campfire Candy time is here! Campfire Candy sales are in full swing throughout the Inland Northwest with over 175 children, ages pre-kindergarten through high school, hitting neighborhoods and store-fronts in Eastern Washington and Northern Idaho, hoping for sweet success. Candy Sale product choices include the famous chocolate mint patties, caramel almond clusters, Almond Roca, P'Nuttles toffee peanuts and Camp Snax trail mix. Each package is $6. Proceeds from the sale support Camp Fire's youth programs and more importantly, give kids the opportunity to attend summer camp at Camp Dart-Lo in Spokane or Camp Sweyolakan on Lake Coeur d'Alene. Visit Spokane has announced its new board for 2016. Officers include: Jody Sander, Sterling Hospitality Management, chairwoman; Bryn West, River Park Square, vice chairwoman; Paul Read, Journal of Business, treasurer; and Cheryl Kilday, Visit Spokane, secretary. Recently elected Members for three-year terms include: Nick Pierre, Northern Quest Resort & Casino; Andy Rooney, Mirabeau Park Hotel & Convention Center; and Matt Jensen, Davenport Hotels. Greg Repetti, Valley Hospital, was recently appointed to fill a vacancy and complete a term. Other board member include: Joyce M. Cameron, Providence Health Care Foundation; Bill Gothmann, City of Spokane Valley; Brooke Kiener, Spokane Arts Fund; Greg Lipsker, Barrister Winery; Shelly O'Quinn, Spokane County; Stephen B. Pohl, NAI Black; Jan Quintrall, Tobby Hatley & Associates LLC; Rhosetta Rhodes, Whitworth University; Rita Santillanes, Best Western Plus Peppertree Inns; Karen Stratton, City of Spokane; and Kevin Twohig, Spokane Public Facilities District. Red Lion Hotels Corp., of Spokane, has announced plans to build a Hotel RL in the Queens borough of New York City. The hotel will feature 180 guest rooms, a full-service restaurant, and a rooftop public area. The new hotel is scheduled to open in early 2019. Mary Eberle's Anemone Paper Flowers has relocated permanently to a new space inside River Park Square. The shop is located on the main floor next to the Concierge desk. Anemone was a seasonal merchant in River Park Square before moving to a store on Second Avenue. From single flowers to spectacular arrangements and one-of-a-kind weddings, Anemone Paper Florist is the world's only full scale paper florist. Handmade in Spokane their flowers are durable, unique, and make the perfect gift for any occasion. The website is paperflowers.com, where you can see their products, but stop by River Park Square in person to see these beautiful works of art. The Spokane Guilds' School & Neuromuscular Center is excited to announce the hiring of Melodie Little as Community Relations Manager and Rebecca M. Magnuson as Donor Relations Manager. Melodie brings to the Spokane Guilds' School 8 years of non-profit experience; Rebecca is a long time friend of the Spokane Guilds' School, and an attorney who specializes in estate planning and business law. Staff Sergeant Ethan Angele serves in the Air National Guard, 256 Intelligence Squadron and works for Avista Utilities. Angele said that his boss, Michael Busby, Operations Manager at Avista, is an exceptional supporter of his military service. "When I told him I had to go to military technical school, he was more excited than I was," Angele said. "Not only is he extremely supportive, so is my whole network operations team," Angle told his team members at the awards ceremony during their staff meeting. 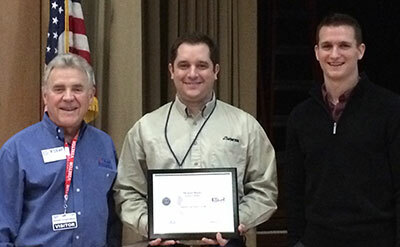 Ken Isaak, ESGR Washington's East Area Representative, explained in the award presentation, "The Patriot Award was created to publicly recognize individuals who provide outstanding support of their employees who serve in the Guard and Reserve." ESGR (Employer Support of the Guard and Reserve) provides education, mediation, and recognizes supportive employers of Guard and Reserve employees. More information about ESGR Employer Outreach Programs and volunteer opportunities is available at www.esgr.mil, or by calling 800-336-4590. Witherspoon-Kelley has named Samuel C. Thilo and William O. Etter as partners and shareholders. Thilo's practice focuses on civil litigation and corporate legal matters. Etter is a tax attorney whose practice focuses on transactional corporate, estate planning and probate law. Thilo and Etter both joined the firm in 2010. Get ready to experience the biggest Inlander Restaurant Week ever, with a record-setting 100+ participating restaurants throughout Spokane, Spokane Valley, Liberty Lake, Post Falls and Coeur d'Alene. 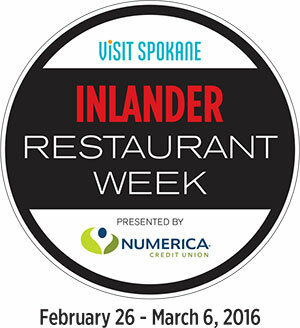 Restaurant week runs from February 26 through March 6. Each of the 104 Restaurant Week participants will offer three-course meals at a pre-set price of either $19 or $29. Diners can choose from the prix fixe Inlander Restaurant Week menu or order anything from a restaurant's traditional menu. 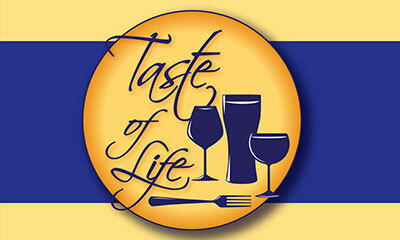 Join Hospice of Spokane on Friday, February 26 from 5:30-8:30pm at the Spokane Club, 1002 W Riverside Ave, for their annual Taste of Life. 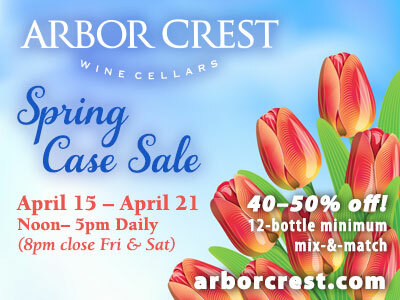 This fun event pairs great local wines, premium microbrews, ciders and delicious food, along with live music. This is a very popular event, benefitting a wonderful organization, Hospice of Spokane. 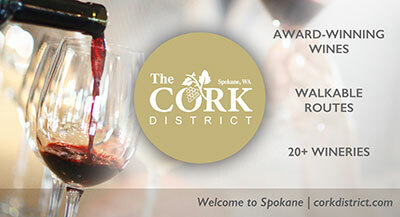 For more information or to purchase tickets for $75 each, visit www.hospiceofspokane.org/taste or call 509-456-0438 and ask for Development. St. Luke's Rehabilitation Institute, in collaboration with Providence Occupational Medicine has opened a new outpatient therapy and occupational rehabilitation clinic in Spokane Valley at the Providence Medical Park located at 16528 East Desmet Court, Suite 1600. In addition to physical therapy, St. Luke's therapists are now providing occupational, speech, pelvic floor and soft-tissue therapies for all community members as well as work conditioning and functional capacity exams for injured workers. St. Luke's moved one of its outpatient locations to the new Providence Medical Park location. In total, St. Luke's outpatient services are available at nine locations throughout the greater Spokane area. St. Luke's and Providence Health Care now have three Occupational Medicine and Rehabilitation services locations. For more information, visit www.st-lukes.org/Outpatient-Services/. Each year, EWI of Spokane honors two of its members, Most Valuable New Player of the Year and Representative of the Year. These awards recognize the representative who exemplifies EWI's core mission of advancing connections, careers and community. Nominations for both awards are solicited from peers within EWI membership. The recipient of the Most Valuable New Player of the Year award was Alissa Kensok, Community Engagement Specialist with Umpqua Bank, and Jillian Robison, Tax Manager with Eide Bailly, LLP, was awarded Representative of the Year. Visit ewispokane.org for more information. Paula Nordgaarden, M.Ed., MSW, is now serving families at Hennessey Funeral Homes and Crematories as a Certified Life Celebrant, meeting with families, listening to stories of loved ones and creating unique tributes based on family memories that honor lives and help families begin their grief journeys. She will still serve in the role of community relations representing Hennessey at GSI, Valley Chamber and Valley Fest events as well as an Ambassador. Previously Nordgaarden was with Wishing Star Foundation. The Greater Spokane Valley Chamber of Commerce has announced its 2015 Awards of Excellence. HUB Sports Center, Nonprofit of the Year; Avista Corp., Heart of the Community Award; Signs for Success, Small Business of the Year; Rosauers Supermarkets Inc., Large Business of the Year; Jesse Sheldon of Inland Northwest Baby, Entrepreneur of the Year; Robbie Jackson, Chamber Ambassador of the Year; Frank Tombari, Chamber Volunteer of the Year; Robin Barnhart of Central Valley School District, Tim Busse of East Valley School District, and Eric Groshoff of West Valley School District, Educators of the Year; Dr. Philip Rudy, Lifetime Achievement Award; and Chuck Hafner, Harry E. Nelson Citizen of the Year Award. 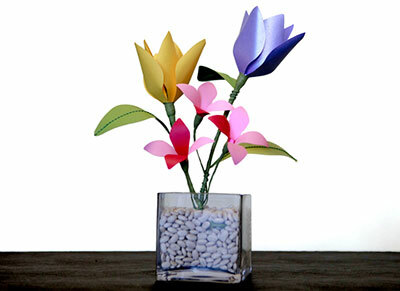 Here's an interesting, different, and fun way to celebrate Valentine's Day. This Saturday evening from 5 to 8 pm, D.Lish's Hamburgers at 1625 North Division is offering a candlelight Valentine's Dinner for two, complete with table service. The couples get 2 D.Lish's doubles, two fries, two medium drinks, a home made onion ring appetizer and dessert from Marsell's Cakes and desserts (while supplies last.) All for under $20. 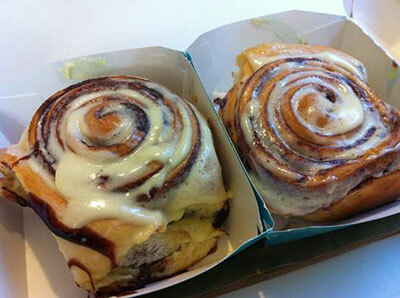 No reservations necessary. 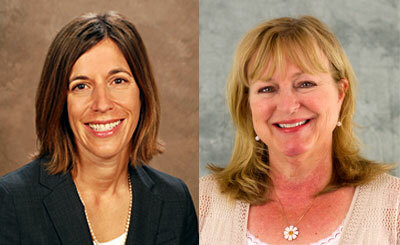 Idaho Central Credit Union has expanded their home loan team in Coeur d'Alene. Alisha Bush was born and raised in North Idaho. She is a graduate of Boise State University. For the last 8 years she has been a manager in the banking/finance industry. Sabrina Nelke has been in the car business for the past 7 years. She sold cars, managed financing and was, most recently, a general sales manager. Idaho Central Credit Union was organized as a state chartered credit union in 1940. The credit union's administrative office is located in Chubbuck, Idaho. Idaho Central has 660+ employees serving over 217,000 members with 26 locations throughout the state and over $2.4 billion in assets. Idaho Central is a full-service, federally-insured financial institution. For more information visit ICCU.com.